Nutri-Vet Eye Cleanse for Dogs is a non-irritating ophthalmic solution that gently cleanses the eyes and surrounding tissues to help relieve discomfort and control irritation from dried mucous, foreign material, pollen and other irritants. It also helps remove tear stains and slow down their formation. Key Components: Boric Acid eye solution is commonly used as an irrigation solution to cleanse and treat irritated eyes in humans. It is very beneficial in fighting eye infections, irritations caused by foreign particles in the eye and air pollution (smog). It creates an inhospitable environment in the eyes for germs and bacteria while it cleanses and soothes the eyes. Best Use: Routine flushing of eyes and surrounding tissue. 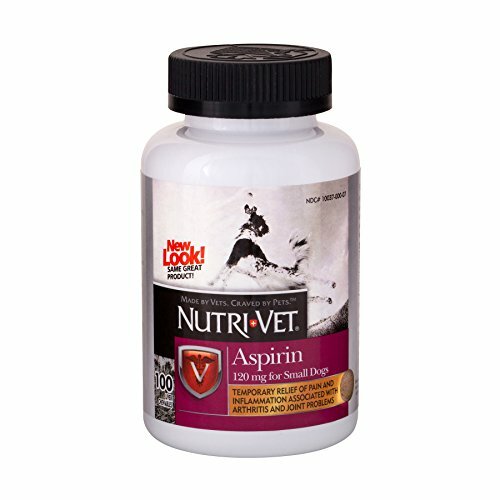 Nutri-VET offers a wide range of unique, veterinary formulated animal supplements and complementary external products that promote health and well being in pets. Sophisticated formulas combined with innovative delivery systems and high palatability profiles have positioned Nuti-Vet as the leading provider of natural animal products in North America. Breath & Tartar Chicken Flavor Biscuits are baked hard and crunchy to help promote strong teeth and healthy gums and make your dog more pleasant to be around. Key Benefits These Crunchy biscuits contain parsley flakes and spearmint to help freshen breath, clean teeth, and promote a healthy mouth. Delicious chicken flavored biscuits that your dog will love. They won't even realize they're helping clean their own teeth. Resealable, a stay-fresh bag so that biscuits stay crisp without drying out and becoming hard and brittle. Veterinary formulated so that the hard texture stimulates gums and scrapes away plaque from teeth as your pup chews. Made in The USA! Nutri-Vet Hip and Joint Peanut Butter Biscuits veterinary formulated animal supplements and complementary externall products that promote health and well being in pets. Sophisticated formulas combined with innovative delivery systems and high palatibility profiles have positione Nutri-Vet as the leading provider of natural animal products in North-America. Nutri-Vet Hip & Joint Extra Strength Wafers provide standardized levels of glucosamine in a crunchy wafer to help maintain health canine joint function and connective tissue. Key Benefits Peanut Butter Wafer for large dogs that is highly platable. Your pup will love this tasty treat that'll help move with ease. Each biscuit contains 500mg of Glucosamine HCL, which is the key building block for making cartilage. Glucosamine maintains joint health and supports mobility and activity in dogs of all ages and sizes. It helps preserve healthy connective tissue in the joints. Member of the National Animal Supplement Council (NASC). 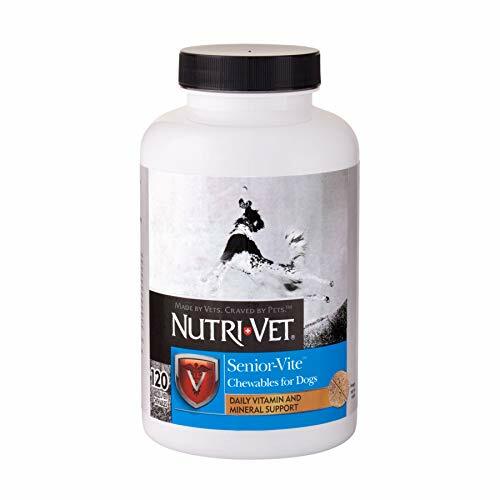 Nutri-Vet Senior-Vite chewables provide a balance of vitamins, minerals, antioxidants and other essential nutrients to optimize physical health and mental well-being in senior dogs. Potent ingredients working together support cardiac and brain function and help combat degenerative mechanisms and oxidative stress to promote health and vitality in elderly canines. Salmon Oil soft gels provide levels of both omega-3 and -6 fatty acids not commonly found in pet foods. This pure salmon oil is stabilized with natural antioxidants to maintain its fatty acid content and taste. 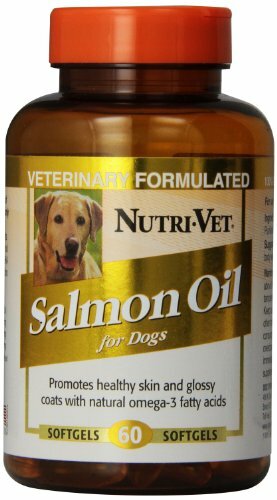 Nutri-Vet's salmon oil provides a daily supplement rich in EPA and DHA that help maintain healthy skin and coat condition. Promotes healthy skin and glossy coats. 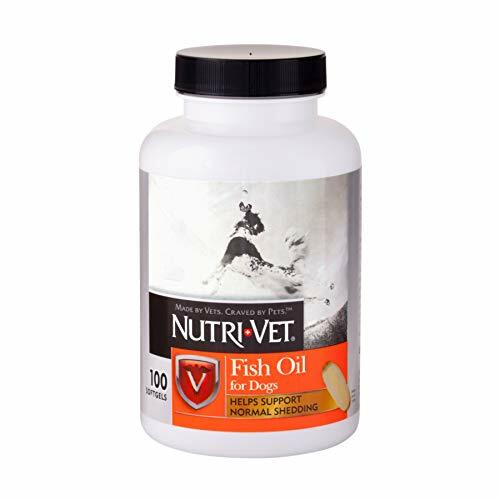 Nutri-Vet Fish Oil contains omega-3 essential fatty acids and antioxidants to maintain a healthy skin and coat and support normal shedding. Veterinary formulated in easy-to-give softgels, Fish Oil helps dogs achieve a soft, silky, shiny and healthy coat.